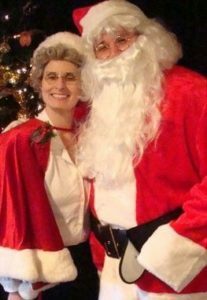 In this children’s holiday musical that emphasizes the value of kindness, inner strength and the spirit of the holidays, Mrs Claus and the Littlest Reindeer remind us that the quality of one’s character is more important than their outward appearance. The touching story, interactive songs and a special appearance from “the Man in Red” himself is sure to bring holiday joy to the young and young at heart. Surprise holiday craft activity to take home! An opportunity to have a picture taken with Santa, the reindeer, and Mrs. Claus, so BRING YOUR CAMERA!